One of Boston's hippiest boutique hotels, gays traveling for pure leisure must consider staying in this place. Embracing your unique individuality is highly encouraged and appreciated at The Copley Square Hotel. Let loose, be merry and be proud to be gay. 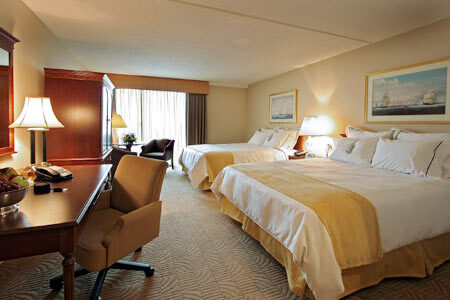 Highly favored by leisure travelers, staying here makes meeting and hook-ups easy. Meet new friends or maybe new guys to make your Boston trip more intense and exhilarating. Complete with modern-day comforts like WI-FI and room service, rooms are hip and stylish, The Copley Square Hotel is the right choice for today's proud gay men. Newly renovated with room interior completely refurbished, staying here is an indulgence. This contemporary hotel at the heart of Boston also house a mini-bar and a lounging area they call as Lobby Lounge - drink, be touchy and feel free to flirt. If you want to explore the city, The Copley Square Hotel is close to bars specifically gay bars and clubs. Shopping, dining and nightlife options are just a few blocks away from this hotel. 'Insiders' (good, quite well-known spot), but also many hotel guests. hsdytiam... u like to top also? Staying at this hotel 4/30-5/2/2009. If anyone wants to hook up during the day, I would love to have you to my room. Been that way for 2 or 3 years now. I was there today. You need a room key now to enter the bathroom mentioned in this posting. here until 8/1.. hit me up if interested.. I'll be there 8/12 - 8/16. I won't have a computer with me but really want to meet and have fun during the day, my room, your room or any good place you know of. Contact me now so we can meet . You can't use these anymore UNLESS you're a guest in the hotel and have a card to get access. It's been that way for the past few years. Guess nobody updated this. Will be staying there 8/12 - 8/17, would love to get away from wife and play in your room. will have massage cream with me and hoping for massage exchange.